Apple Wood is one of the most popular fruitwoods to be used for smoking. It is smooth and deliciously sweet and mild. It is perfect as a finishing salt, for curing bacon or smoked salmon jerky. 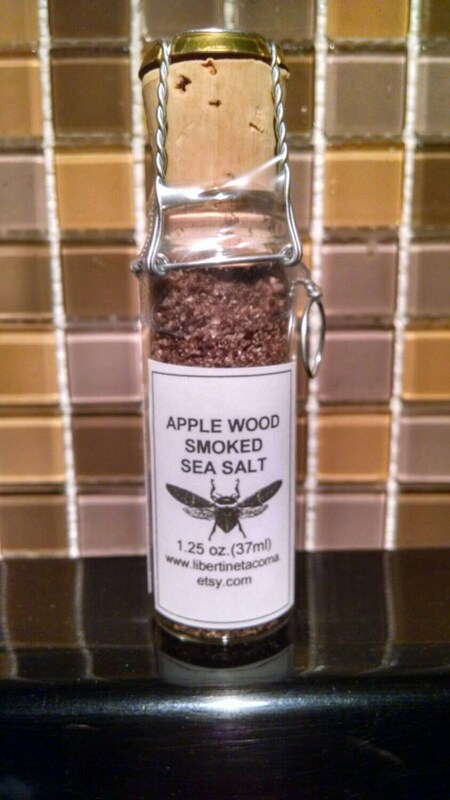 Applewood Smoked Sea Salt is a perfect smoked salt for someone who enjoys a mild smoke flavor. Select the size you would like in the drop down menu. This would make a great gift for you or for family and friends. Beautiful artisan salt beautifully packaged.